Dr. Ritzman graduated from North Carolina State University College of Veterinary Medicine in 1995. 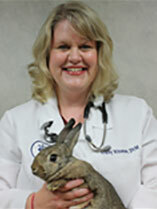 Dr. Ritzman is an associate veterinarian at Cascade Hospital for Animals in Grand Rapids, Michigan. <br>Dr. Ritzman is a board-certified specialist by the American Board of Veterinary Practitioners (ABVP) in both Avian and Exotic Companion Mammal Practice. Dr. Ritzman enjoys teaching veterinary students and technicians in the field of avian/exotic animal medicine and surgery. This presentation will provide an overview of the most common diseases of the backyard chicken patient.